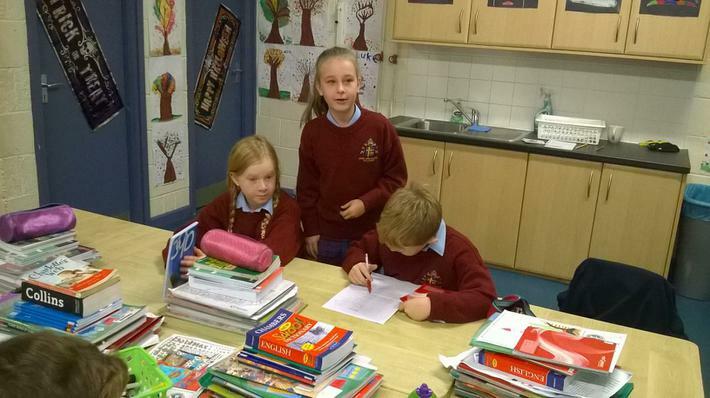 Our topic for the month of October was food. 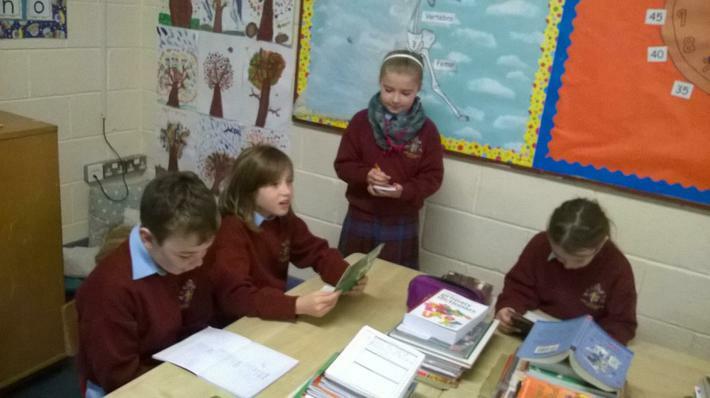 We set up a 'Bialann' in our classroom. 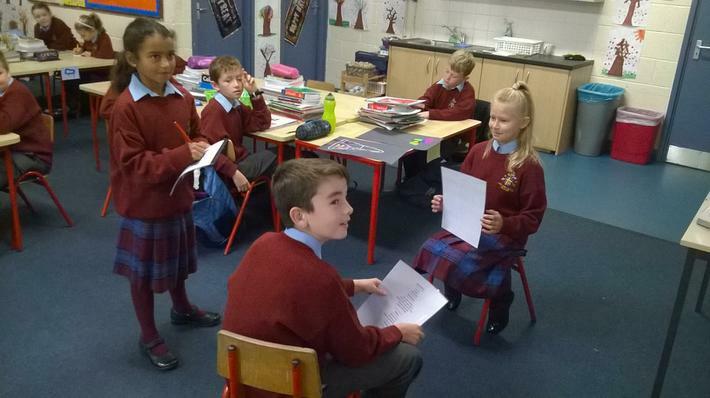 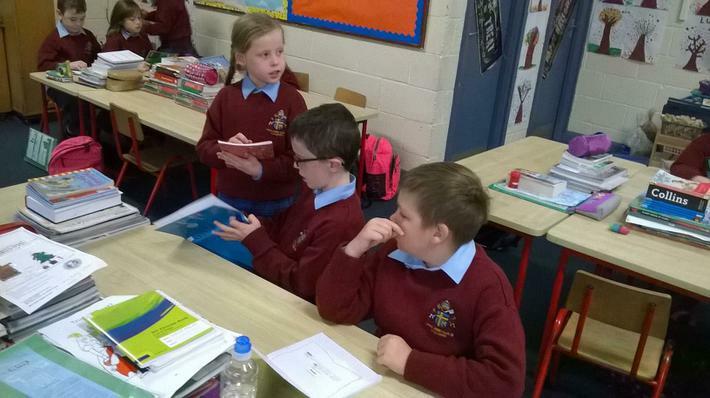 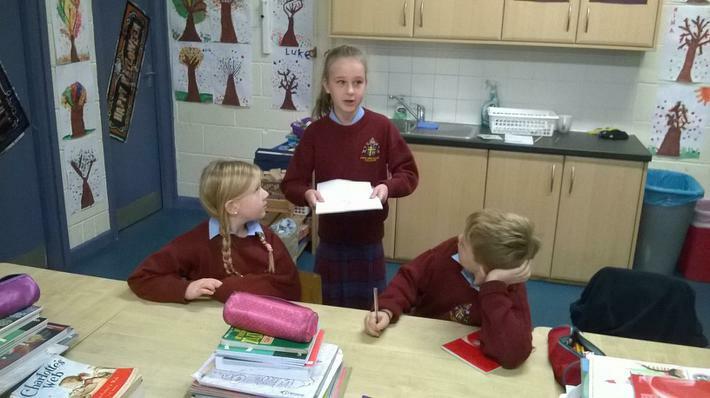 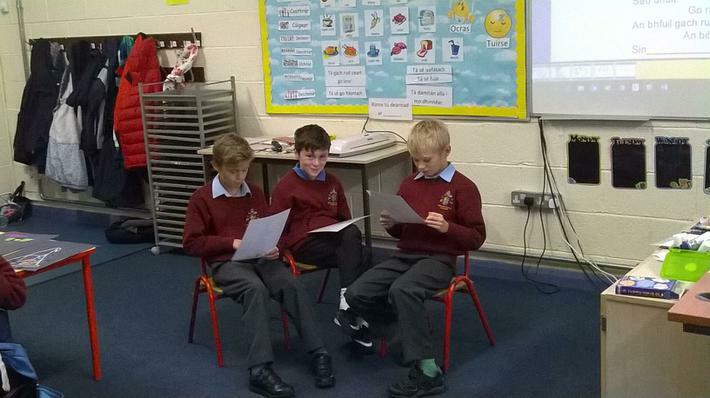 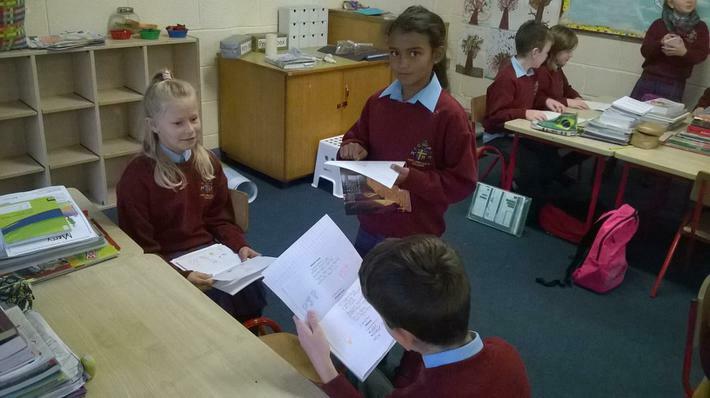 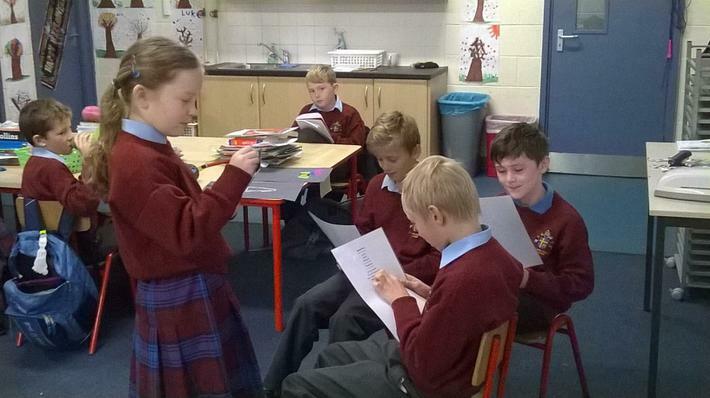 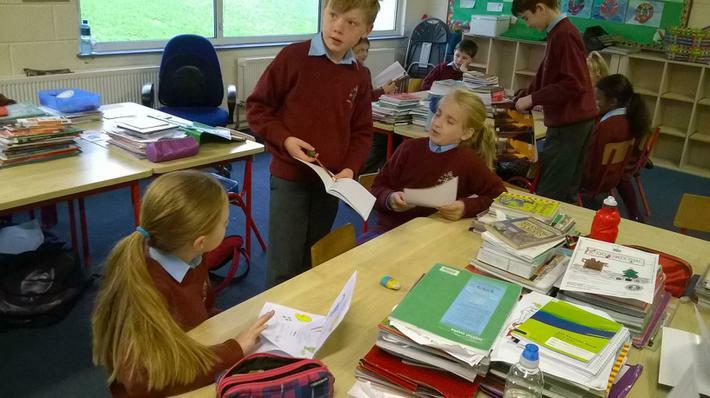 We did a drama with a 'fhreastalaí' and 'custaiméirí'. 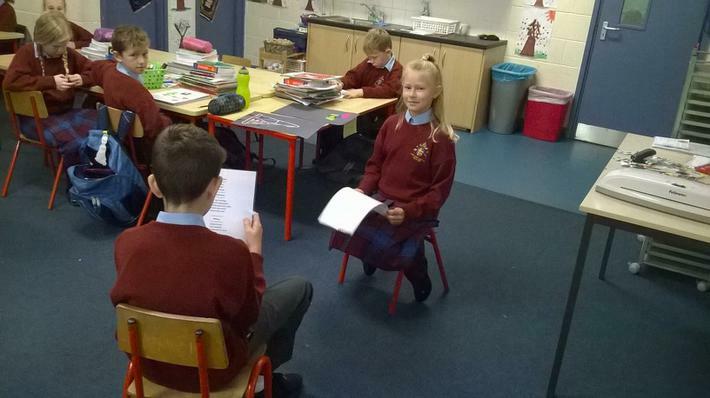 The children wrote their own menus for the restaurant and then carried out the drama in groups.The children really enjoyed it and learned how to say new phrases.